There's more network updates in store for PS3 owners as Sony's battle against hackers and pirates rages on. Despite a proverbial double tap of bad news over the last few days, Sony has denied claims that the security for the PS3 is irrevocably compromised. In a short statement, the company said it was aware of the issues on the console, and was working on a solution. 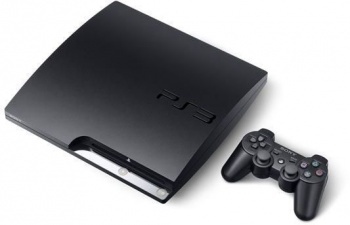 At the very tail end of last year, a hacking group called Fail0verflow gave a presentation which explained in great detail the various security measures that Sony had implemented on the PS3, and how the group had been able to circumvent them all. Just days later, iPhone cracker George Hotz posted the root key for the console online, meaning that people could sign their homebrew software - or pirated games - and convince the PS3 that it was all authentic and official. Speaking to the BBC, Fail0verflow said that there was nothing that Sony could do about the PS3 security leaks except release new hardware. Sony, on the other hand, had a very different take on the situation, claiming that it could fix the problems with network updates. The company said it was unable to provide any further details, however, as it didn't want to discuss security issues. Some hackers are actively trying to prevent anyone using their tools to pirate games, but others aren't quite so conscientious. While you can't blame Sony for wanting to get the holes in its security patched up, it's a shame that it's going to be the everyday users - those who didn't do anything wrong - who suffer.